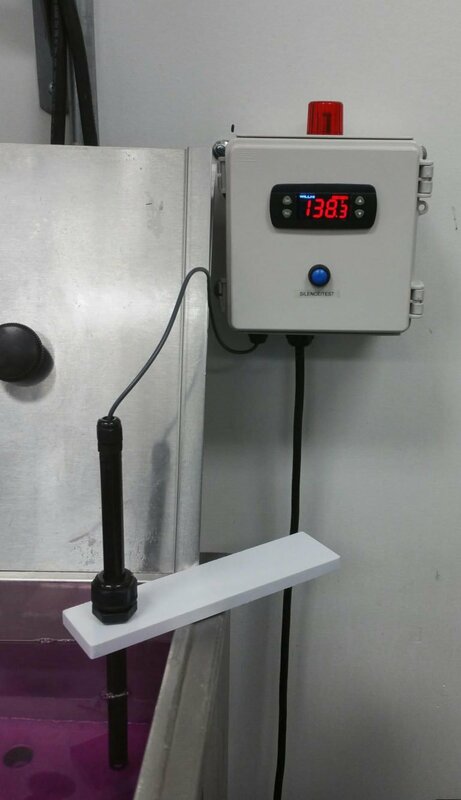 The TEMPERATURE ALARM monitors tank temperature independent of your temperature controller. Warns of temperature deviations with a loud buzzer and flashing beacon LED. THE PROBLEM with temperature controllers is that although most have alarm outputs available, almost nobody uses them. They are difficult to set up, difficult to work with, its not clear how to silence the buzzer if there even is one. 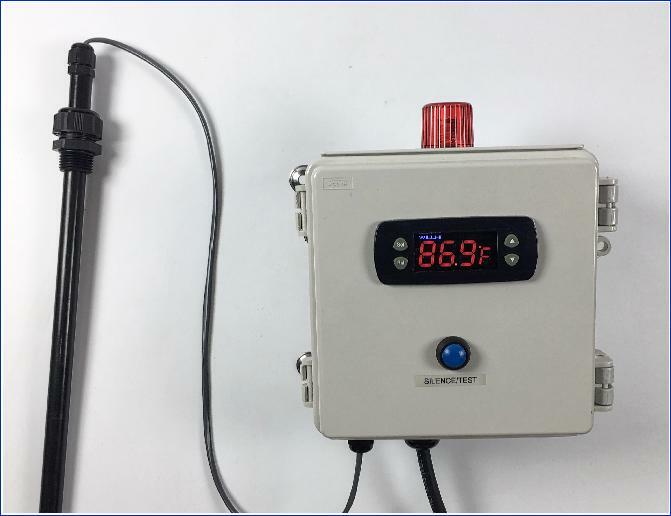 The Gizmo Engineering Temperature Alarm is a snap to add into your process: simply plug it in, and mount the probe in your tank using the provided mounting plate. Unlike most over-complicated controllers out there that require an engineering degree to decipher, this one is simple. It comes facory pre-set with a temperature deviation limits of +/- 5ºF which should get you going. Once you set the temperature setpoint you want, there is only one button to operate. When the temperature is outside the limits you set, the unit produces an alarm. The warbling buzzer sounds and the beacon LED flahes. Pressing the blue pushbutton silences the buzzer, but the LED continues to flash as a warning that the temperature is not OK. If the temperature is not corrected after 30 minutes then the buzzer sounds again. When the temperature does return to the correct range, an operator may then press the blue pushbutton again to stop the LED from flashing. Bright beacon LED continues to flash until temperature is in range and manually acknowledged. LOUD Buzzer volume is 103dB with warbling tone – it will be heard over plant noise. Waterproof. Suitable for washdown duty.